Milwaukee – “Addressing Lead Issues: A Milwaukee Focus” is the topic of a public forum presented by the League of Women Voters of Milwaukee County on Saturday, November 17, 2018. This free program will be held at United Way Johnson Controls Volunteer Center, 200 W. Pleasant Street, Milwaukee. The program runs from 10:30 a.m. to 12:30 p.m. with social time beginning at 10 am. There is no safe level of lead in the human body. According to the Milwaukee Health Department, the primary sources of elevated blood lead levels in children are lead-based paint and leaded household dust, found in buildings built before 1978. The Milwaukee Health Department also provides data regarding some city properties that have lead service lines. Michael Stevenson, Public Health Planner, City of Milwaukee Health Department. Helen Meier, PhD, MPH, Assistant Professor of Epidemiology at the UW-Milwaukee Joseph J. Zilber School of Public Health. Carmen Reinmund, Lead Outreach Program coordinator, Sixteenth Street Community Health Centers. 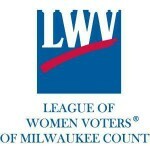 The League of Women Voters of Milwaukee County is a nonprofit, nonpartisan organization encouraging informed and active participation in government. It influences public policy through education and advocacy, but does not endorse or oppose candidates or political parties. The national League of Women Voters was formed in 1920 after the ratification of the 19th Amendment ensuring women the right to vote. Its mission was to educate women on voting matters and to encourage them to exercise their newly won franchise. While the League of Women Voters retains its name to honor its founders, today’s League includes men as members and its mission is to make democracy work for all. The public is invited to learn about this urgent matter.